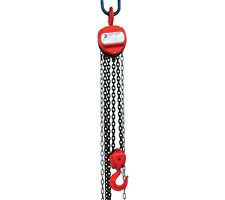 These portable, lightweight manual chain hoists are dependable and easy to operate. Compact design and low headroom allow installation in confined areas. 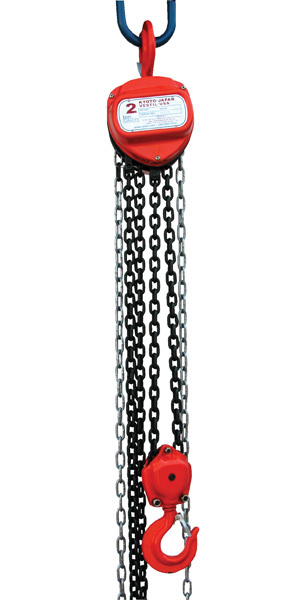 Made of high quality steel for industrial applications, this unit features forged steel upper and lower hooks with safety latches. Meets ASME/ANSI B30.16 requirements. Heavy-duty stamped steel housing is very durable. 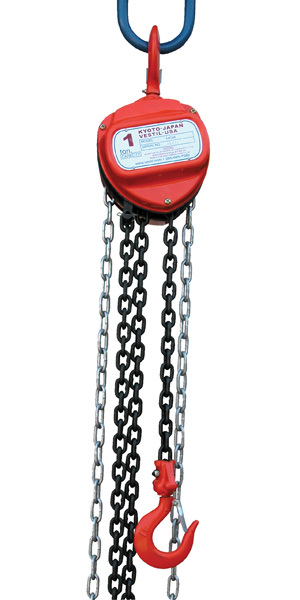 Manual chain hoist is designed to raise and lower materials with ease. 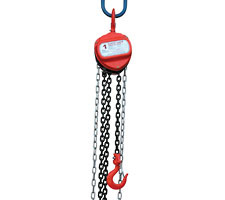 Beam clamps are designed to be used as a fixed-position lifting point for an overhead hoist. You can't beat these lifts for the $$. I have 2 of them and they work great.